Books bought: 1! only 1! So, I didn’t do very well with the reading challenges this year – I’m putting that down to the DC trip and being away from the tbr and trying not to buy books. I’ve got loads of books that fit missing categories, but I just wasn’t around to read them and let things slide. Hey ho, it was worth it. I’m going to be more selective about what I do with regards to reading challenges this year. On the bright side, I did manage to only buy myself one book in December, which is pretty good. I bought lots of books for other people, but resisted the urge to buy for myself. Obviously next month there’s going to be a tweaked format to the stats post because there always is at this time of year! If you missed my end of year look back posts: obsessions, revisiting 2017 obsessions and best books of the year are all behind this post down the feed (or on the links). So. 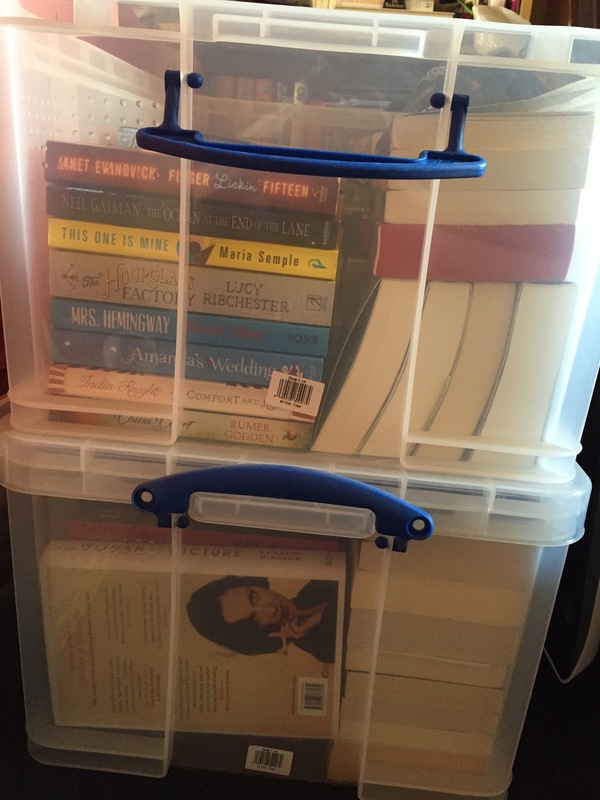 It’s been 11 months since I did an update on the to-read pile. Which is shocking to be frank, because the whole point of this blog when I started was to try to get me to get a grip on the pile and bring it down. While time has got away from me somewhat, I’ve also been a bit embarrassed that the pile hasn’t really shrunk. There’s been turn over, don’t get me wrong, but it’s still huge. But last week I had to pack it all away so that the men could come and replace our windows. 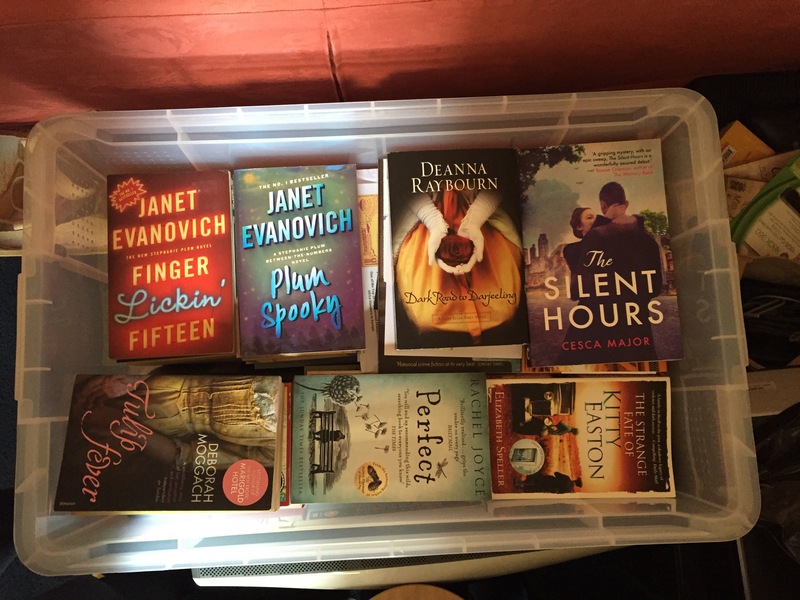 I took the opportunity to have a bit of a weed of the pile – getting rid of books that have been sitting on the pile for ages that I know deep down I won’t get around to and sending them on to the charity shop. Despite this, the books that I’m waiting to read still took up the vast majority of two 65 litre crates. Oops. Yes, that really is two 65 litre crates full of books waiting to be read…. Now the windows are done and the post-window cleaning is done (mostly) I’ve unpacked. 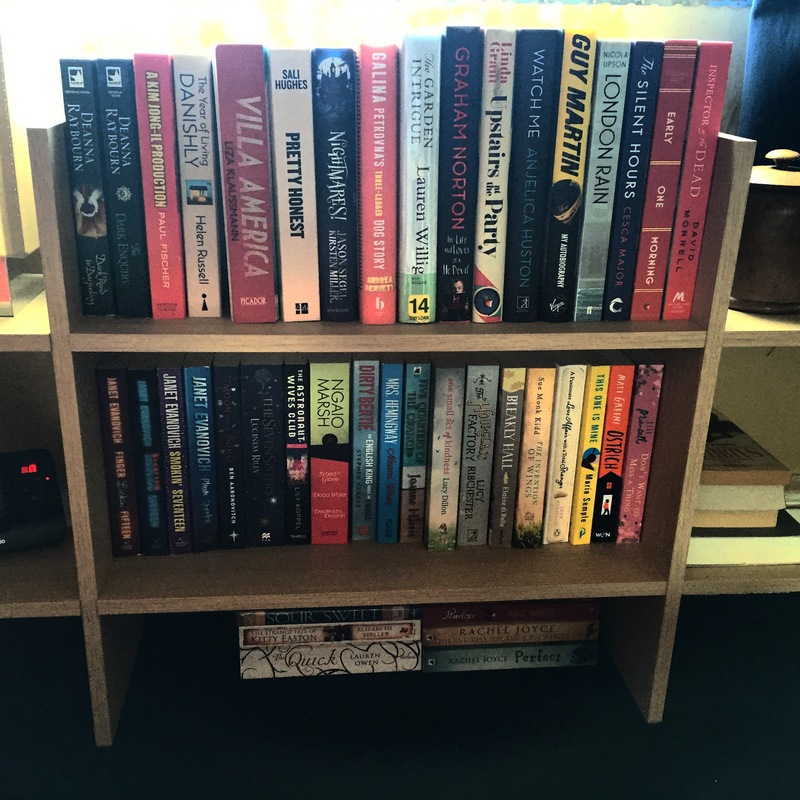 I’ve reprioritised the pile – the 40 books that I want to read next (or think I’m likely to read next) are now on the bookshelf next to me, along with the little stack of books I’ve borrowed from people – to remind me to read them. Then next to the bookshelf is the pile of books that I’ve been sent to review for Novelicious and then next to that are the complicated series of piles that make up the rest of the to-read pile. The reassembled to-read bookshelf – whith the stuff I think I’ll read first. I didn’t count how many there are waiting to be read, beyond what’s on the actual shelves, but I think as well as the shelves there’s probably another 50ish hidden out of sight of The Boy. I’ve been better at not buying books recently – although I’m still on the Janet Evanovich jag and I’ve just discovered Ben Aaronovitch as well which I suspect may not help on the purchase restraint front. Here’s hoping I can restrain myself a bit and get the pile down to manageable proportions soon!